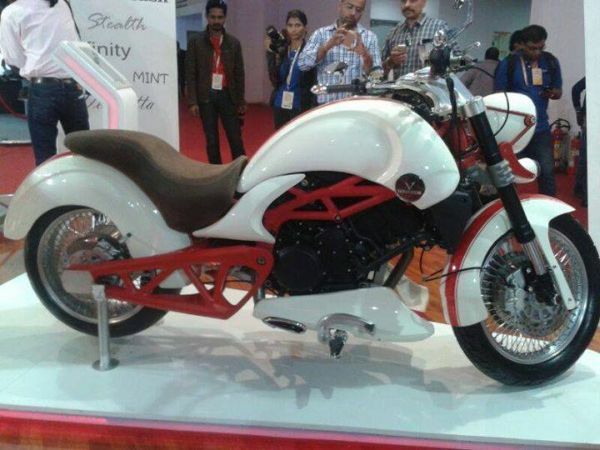 Vardenchi, Mumbai-based manufacturer of custom motorcycles has unveiled the premium segment Vardenchi T5 motorcycle at the 2014 Indian Auto Expo. 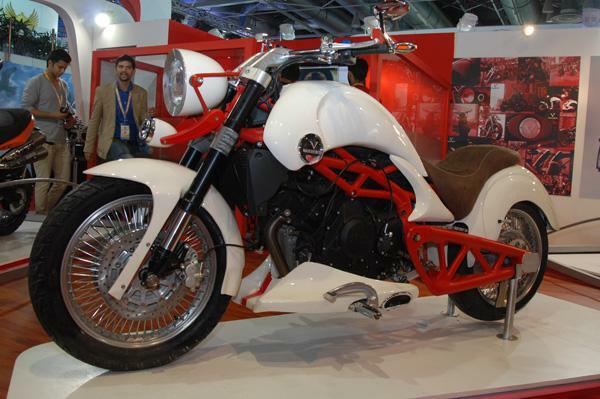 Touted as India’s first luxury motorcycle by the company, the Vardenchi T5 has been developed in partnership with Italian motorcycle maker Moto Morini. The bike is powered by Moto Morini’s 1187cc V-Twin engine imported from Italy and is designed at Vardenchi’s manufacturing premises in Navi Mumbai. According to Vardenchi, the T5 superbike will be sporting standard alloys and the option of spoked wheels will be available too. The motorcycle will come with Brembo discs dual in the front and single at the rear. Some other features of the T5 bike include a trellis swingarm, twin exhaust and digital instrumentation. Vardenchi Motorcycles are hoping to sell about 600 units per annum and expects that the number will increase up to 2,000 in the next five years. The 1.2 liter engine Vardenchi T5 motorcycle will come with a price range of Rs 8-12 lakhs ($12800- $19200). The Granpasso and Scrambler motorcycle models were also launched by Vardenchi-Moto Morini at the 12th Auto Expo in New Delhi. These both models are expected to cost around 26 lakh($41650).